Here it is, you guys, my final installment (for now!) 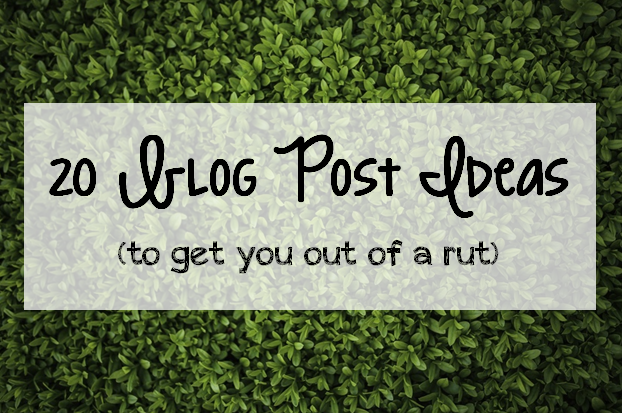 of blog post ideas to get you out of a rut. 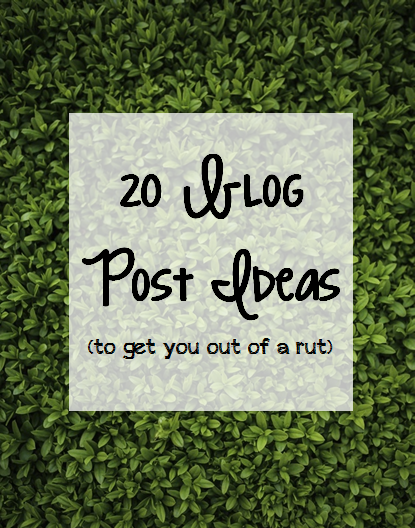 Now with this list, I have listed 100 blog post ideas! (You can see my other lists of blog post ideas here, here, here, and here.) There are quite a few on this list that I’m saving to use later- it should be fun! If you have a pet, introduce it! Love this! I’ve been getting writers block with my mind going crazy from freelancing lately. These are some perfect ideas to get me out of the rut! I really like these ideas! I’ll have to borrow the idea of introducing my fur baby. Thanks for the ideas girl! It’s always nice to have a list to pull from when you get stuck!